For those working predominantly in an office, it can often mean little natural sunlight due to screen glare and unnecessary heat! It is important to create a working environment that will stimulate your employees, ensuring everyone is happy and feeling content while at work. Glass partitioning can help you make the best use of the natural light within your office, as well as creating an open and airy atmosphere. Not all offices are well-suited to having large windows and this can mean little natural light is able to enter. Adding glass partitioning not only looks professional and extremely clean but it also enables the flow of light to reach extended areas of your office. Frameless glass partitioning is also available and it’s perfect for sectioning off a meeting room that looks chic and stylish within the workplace. Another great benefit of glass partitioning is that it can actually help decrease your energy bills! Better use of natural light means a lesser need for artificial lighting, so you can make significant savings on your electricity bills. What’s more, glass partitioning is simple to expand or reconfigure should you wish to make further changes to your office’s layout in the future. Installation time is kept to a minimum, so there will be little to no disruption to the everyday running of your business. Adding glass partitioned areas into your office space provides a space of quiet and privacy. Whether required for meeting rooms, training areas or smaller, individual office spaces – using glass partitioning means you don’t have to feel shut off from the rest of the office. 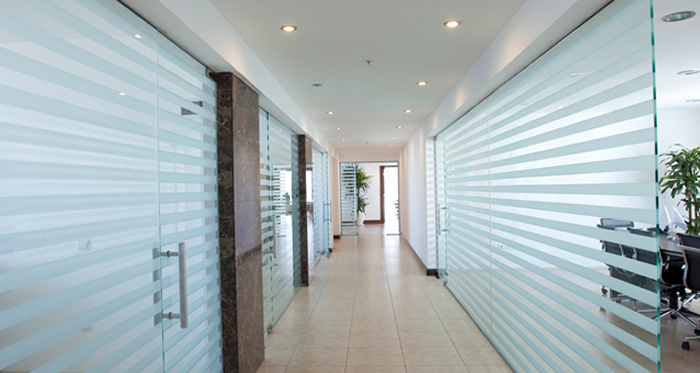 Are you considering installing glass partitioning into your workspace? Get in touch with us today to discuss your requirements and see how we can help you.